The private collection of Martin Wickramasinghe, a foremost writer in Sri Lanka is one of the largest of such collections. 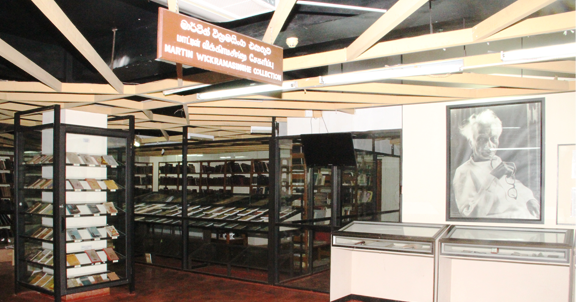 This collection was donated to the National Library by the Martin Wickramasinghe Trust. The collection consists of his personal collection of books, draft manuscripts of his writings, personal effects such as his desk, typewriter, pen, wristwatch, armchair and a number of cultural artifacts collected by him.